The League of American Bicyclists announced the latest round of Bicycle Friendly Community (BFC) awards, and Williamsburg has been named a Bronze Level BFC. The award recognizes the City’s commitment to improving conditions for bicycling through investment in bicycling promotion, education programs, infrastructure and pro-bicycling policies. The BFC program provides a roadmap to building a Bicycle Friendly Community, and the application itself has become a rigorous and an educational tool in itself. Planning Director Reed Nester and Zoning Administrator Rodney Rhodes spearheaded the application effort for the City. The first Regional Bikeway Plan was adopted in 1993 by Williamsburg, James City and York County. There are now 11 miles of bike lanes and paths in the City (68% of those planned), a total of 69 miles of bicycle facilities for the three jurisdictions, plus 40 additional miles of shared roadway facilities on roads maintained by the National Park Service. Since its inception, more then 500 distinct communities have applied to be a BFE, and the five levels of the award – diamond, platinum, gold, silver and bronze – provide a clear incentive for communities to continuously improve. To learn more about the program, visit bikeleague.org/community. Cap2Cap is a unique in having starts at both ends — Richmond and Williamsburg — with 15, 25, 50, and 100 mile out-and-back options. Pedal through 400 years of Virginia history, and help raise funds to make the Virginia Capital Trail a world-class experience. When completed, the 55 mile Virginia Capital Trail will connect past and present capitals of Williamsburg, Jamestown and Richmond along the scenic Route 5 corridor. For more information and to register, see the event page at the Foundation website. So what is the East Coast Greenway? Imagine a mostly flat, 3000 mile Appalachian Trail system starting in Calais, Maine and ending in Key West, Florida, when completed, the ECG will be nearly 3000 miles long and connect the major cities along the Atlantic Coast. Plans call for 90% of the trail to be off road. The East Coast Greenway is routed on 400 miles of Virginia trails and roads—over 270 miles of spine routing plus about 130 miles of alternate routing. The routes connect urban, suburban, and rural areas from Arlington through Fredericksburg, Richmond, Petersburg, South Hill, and Clarksville, and (via the alternate Historic Coastal Route) Richmond to Jamestown to Chesapeake. The Historic Coastal Route follows the Virginia Capital Trail, a 50-mile route that closely follows Virginia’s Hwy. 5 along a mostly traffic-separated path and traverses a region steeped in history and natural beauty. The Historic Coastal Route will connect with the Dismal Swamp Canal Trail which, will bring travelers over the border into North Carolina. While about 14% of the spine route is on completed multi-use trail, an additional 20% of the route is in development and headed toward becoming firm-surface, multi-use trail. Currently open trails include the Mount Vernon Trail, Virginia Capital Trail, Tobacco Heritage Trail, and Dismal Swamp Canal Trail. In the coming years you should see quite a bit more trails built in Southside, Greater Richmond, and elsewhere. The Virginia Bicycling Federation. 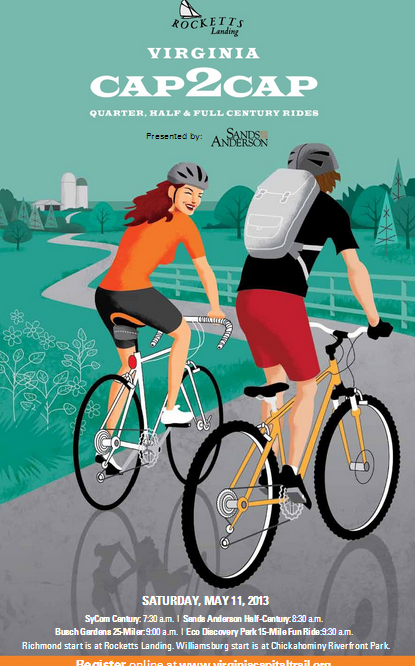 has worked with the East Coast Greenway and VA Department of Conservation and Recreation to publish the East Coast Greenway Virginia: A Guide to Bicycling and Walking. The guide is spiral bound with a laminated cover and are perfect for using on the trail. The Guide To Bicycling and Walking the ECG in Virginia, an informative and easy to use guide offers maps and turn-by-turn directions of the ECG route through Virginia. You can get your guide free of charge at any of Virginia’s 12 Welcome Centers or you can order a copy by mail (the cost is $5 for shipping and handling), or download the pdf for free. Download your free copy here here in PDF form, or order a hardcopy here (cost is $5 for shipping and handling). Two types of cycling events converge this weekend with the aptly named Williamsburg Dirt Festival. James City County Parks & Recreation, James River Velo Sport, William & Mary Cycling Team and Eastern Virginia Mountain Bike Association are hosting the first local event of its kind. "Williamsburg was chosen as the host town to both "support our local tourism industry and the great area we have locally to go bicycling both on the road and off," said Dexter Klock, president of Velo Sport. On Saturday, cyclocross races will be held throughout greater Williamsburg. Cyclocross combines dirt and road races with various obstacles. Saturday’s event will feature a full card of races, as well as beginner and mountain bike classes for cyclocross novices. "[It’s] an up-and-coming sport among both mountain and road cyclists and racers," said Klock. "[It’s] great for the spectators, and is an action packed event for both the racer and spectator." The public is invited. Anyone interested in cycling can take classes from expert racers. The festival runs Saturday and Sunday with many events at Freedom Park and Jamestown Beach Park. Here the Facebook page for the Dirt Fest. 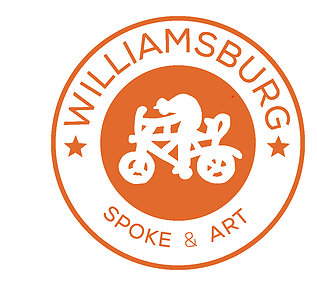 Williamsburg Dirt Fest is a two day race event with Cyclocross and Mountain Bike Races, and a family friendly Bike Festival. 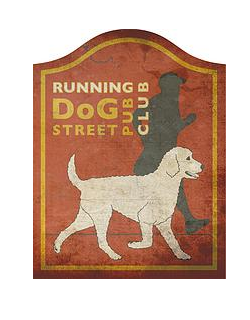 There are spectator friendly races at two venues to compete in or watch all weekend, and loads of activities to enjoy. Festival activities include a Mountain Bike Skills Clinic, a Freeride Demonstration, Guided Night Trail Ride, BikeBeat Bike Maintenance Classes, Kids Bike Parade, Scavenger Hunt and Face Painting, Bunny-hop and Long Jump Contests, plenty of food, and limitless fun. Thank you to these GREAT organizations for making this event possible! Approximately fifty people attended the groundbreaking ceremony for the latest section of the Virginia Capital Trail. Held at Charles City Courthouse, the event marks the start of construction of the 12.5 mile, Sherwood Forest segment. This section of the trail will connect the existing Charles City Courthouse segment to the Chickahominy section, completing 28 contiguous miles of the planned 52 mile route. The trail will pass Sherwood Forest, home of America’s 10th president, John Tyler. Construction is scheduled to be completed in October, 2013. Parking at Shiplock Park in downtown Richmond along Dock Street. Trail to the west for ½ mile. Parking at Charles City Courthouse Visitors Center, just off of Rt. 5. Trail to the west for 7.5 miles. Parking at Chickahominy Riverfront Park or Jamestown High School. Trail to the east (or west if parking at JHS) 5 miles. Parking at Jamestown Settlement. Trailhead across Rt. 31. Come bike the Colonial Parkway, which will be closed to motorized vehicles from the Newport Avenue exit in Williamsburg to the Jamestown exit (about 10 miles, one way). A rest stop serving free refreshments will be located at the College Creek pull off. A children’s Bike Skills rodeo will held at the Parkway’s Jamestown end; participants will receive free helmets donated by the Active Williamsburg Alliance (AWA), a chapter of BikeWalk Virginia. 53 mile C+ ride at 8:30 AM meeting at the New Kent Visitors Center. Call the Deana Sun at (804) 690-6018. 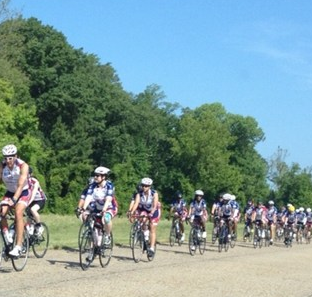 Meet at the parking lot behind York Hall for a 14 mile casual ride on the Yorktown Tour Roads at 10:00 AM. Optional lunch will follow the ride at the Carrot Tree Restaurant. 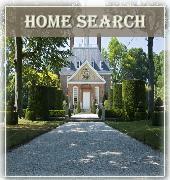 Call Jim and Mary Osborn at 229-0655 or email (osbornva@cox.net). 25 to 35 miles C+ pace. Meet at Williamsburg Community Chapel Parking lot (Section S) at 9:30 am. POC Charlie Hart 566-0090. Bike the Colonial Parkway for 8.2 miles (between Jamestown and Williamsburg) with no cars from 8:00 AM – 1:00 PM. FREE to the public! Avoid most of the hills by starting at the Jamestown end of the Parkway. A rest stop with free refreshments will be located at the Archer’s Hope pull-off (3.8 miles from the Jamestown entrance). FREE helmets available for children at the Jamestown and Williamsburg entrances. Child must be present to be fitted with a helmet. 16-20 mile casual ride visiting local sites of Civil War action and interest commemorating the 150th anniversary of the Battle of Williamsburg. Meet at 4 PM at the Jefferson Statue in Merchants Square. POC Nancy Carter, 229-4907 or njcarter@starpower.net.